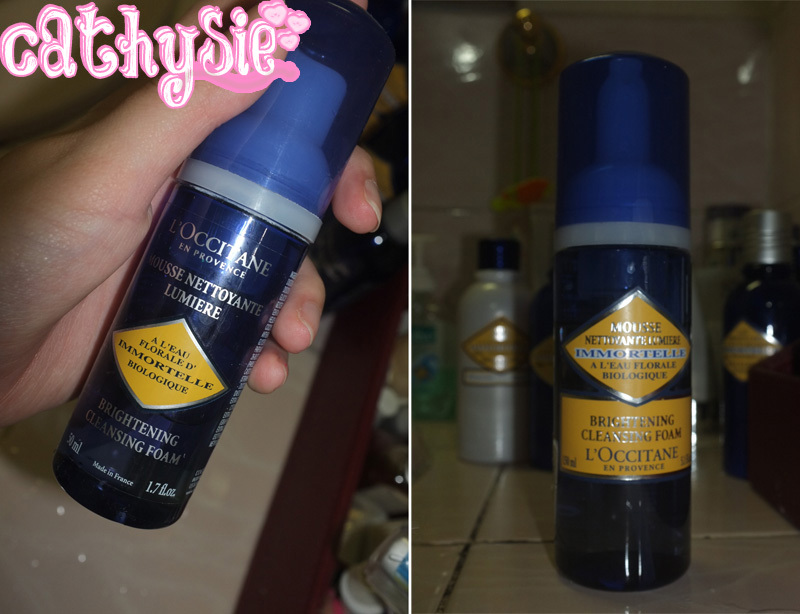 I've been using this Brightening Cleansing Foam for months and I think this need to be reviewed. :D In case you are wondering why are there two bottles, it comes in 2 size. One full size(right) and the other one in travel size(left) which mean you can bring it when you travel! The Immortelle Brightening Cleansing Foam, containing Organic Immortelle floral water, gently foams to delicately cleanse the skin, leaving behind the soft and floral fragrance of Immortelle. Clinical testing of this product over three weeks showed an improvement in the evenness of skin tone and radiance of the complexion. In short, it is a gentle cleanser that transforms into a rich foam for clean, refreshed skin. Achieve the luxurious feeling of ultimate clean with this gentle cleansing foam. The unique formula is enriched with refreshing immortelle floral water and citrus fruit peel to brighten the complexion. Skin is left perfectly soft, evenly toned, and radiant all over. 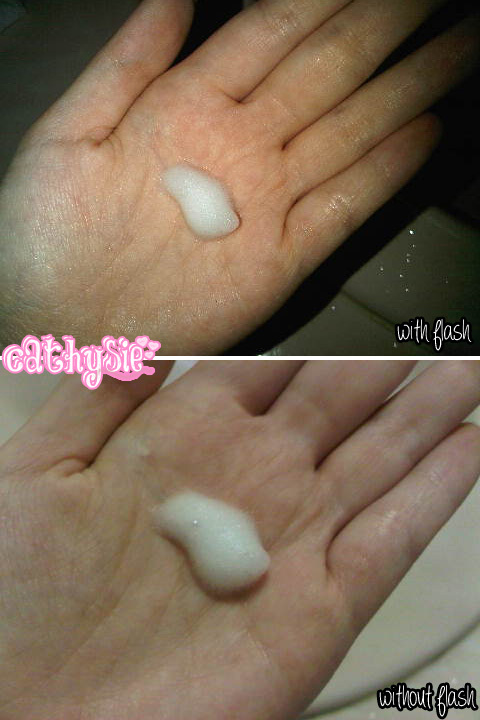 Instead rinsing with water with hand, I use cotton pad with enough water and then wipe it around my face. 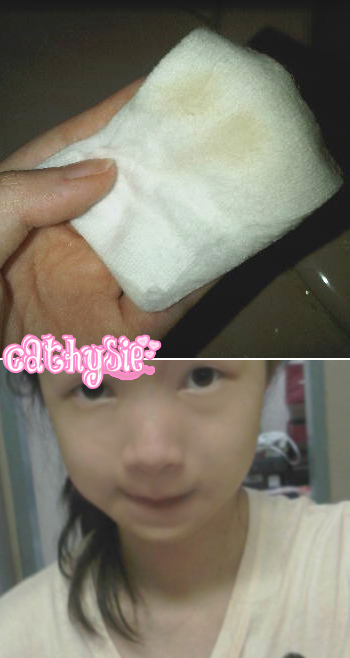 The reason why I use cotton pad is that so I can see the result above, the dirt/dead skin cells. - Leaves my face bright, clean, refreshed and the skin becomes soft, smooth, radiant and calming. I IT. My face brightens and becomes soft. My skin becomes radiant and clean. Not only it smells good, it clears up my acne too. I will definitely buy it again. And for everyone out there, it is highly recommended!